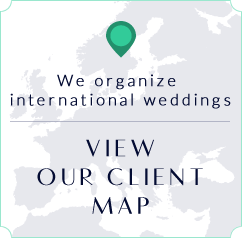 "Your wedding concerns... solved! 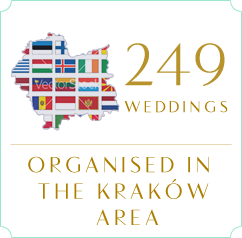 If you're planning a destination wedding in Krakow, then you have just arrived." "I can't thank you enough for making our wedding day a wonderful memory for all of us." "It was our dream to have our wedding at a magnificent location, with a breathtaking ambiance"
"Entrusting the girls with our wedding coordination was one of the best decisions we made in the run up to the big day." "We would like to thank you for your expert skills in planning and coordinating what was for us, the perfect day." "Thanks again for all your help and amazing memories that will last a lifetime." "Apart from the weather (which thankfully held out) they left nothing to chance on the big day"
"We were both incredibly happy with the work of Kinga and Kasia in making our big day go off without a hitch"
"Their work was invaluable as the details are what makes or breaks the wedding party"
"My love didn't expect for a second how many people were involved in the apparently innocent invitation to dinner"
Iwona and Stephen dreamed of a winter wedding, far from the city, at an atmospheric location covered in snow.